Subscribe to FRMODA.com newsletter to get a 10% discount on collections of shoes, bags, clothing and accessories from top brands. Be the first to know the latest news and take advantage of special offers, discount coupons and our reserved online sales. 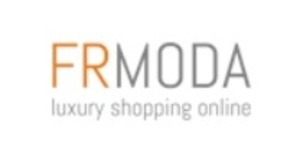 FRMODA.com is an online store that provides a new experience in the world of fashion and luxury and offers the most famous brands, the most emerging designers and the most innovative stylists. There is a wide and refined collection of shoes, bags, accessories, clothes and perfumes with a discount that is up to 60%. All the products sold by FRMODA are original and authentic.